A 2,300 sq ft all-inclusive party room in Tsuen Wan. A 2,300 sq ft all-inclusive party room in Tsuen Wan with a pastel-colour theme, this party venue comes with a plethora of video games including PS4, Nintendo Switch, an arcade machine, karaoke, mahjong and an air hockey table. 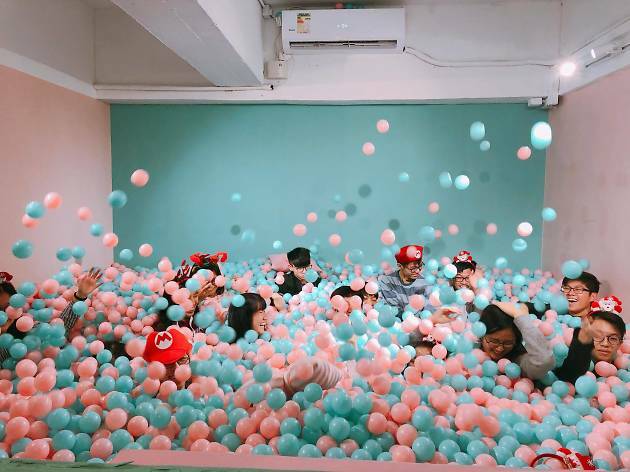 But the main draw here is the massive ball pit – because grown-ups love them too – and a costume corner (think the Mario Brothers and Sailor Moon). There’s a minimum charge of $88 per person for three hours, which is jaw-droppingly cheap for all that entertainment.